What do thousands of South Florida families have in common? They are all curious about the world around them and are members of the Museum of Discovery and Science. A Museum of Discovery and Science membership supports one of the country’s finest science museum and gives you many benefits to be enjoyed through the year. 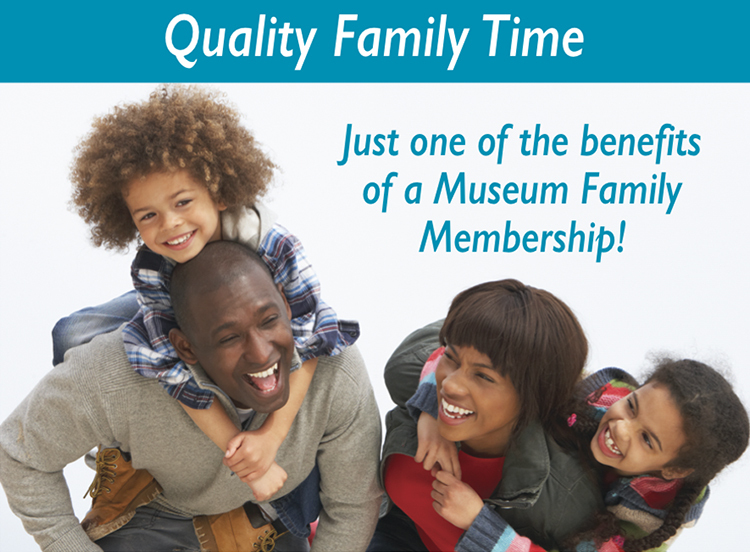 Members receive many benefits including unlimited free admission to the museum, our quarterly Explorations Magazine, invitations to member events, and discounts on IMAX tickets, camps, birthday parties and at the Museum’s gift store plus much more. And as an added bonus, members receive free admission to over 350 science museums across the country and around the world! Join today and enjoy all of these basic benefits all year long! • Free or discounted admission to over 360 Museums around the world through the ASTC Passport Program. Click link for details on the benefits of the Passport program. • Subscription to quarterly Explorations Magazine highlighting upcoming events, activities and exclusive offers. Ideal for multi-generational families. Four adults and six children. Ideal for two adults and six children under 18 years of age in the same household. Ideal for two adults and four children under 18 years of age in the same household. Eligibility: Elementary, Middle School and High School teachers working in public and private schools in Broward, Palm Beach and Miami-Dade counties. Proof of Eligibility: Proof of current school year employment is required. A school-issued photo I.D. or a current paycheck stub are acceptable forms of proof. School websites, health insurance cards, or a class syllabus are NOT acceptable proofs. Fax a copy of your current school I.D. or paycheck stub to 954-467-0046 or scan and email documents to Members@mods.net. Please enter any coupon codes in the COMMENTS section of your order. Please allow three business days for your online membership purchase to be processed into our system. Please print out the membership order receipt and bring it with you on the day of your visit so that a manager can confirm your order for free museum entry.